Alaska is one of the most expansive and impressive places in the world. Whether you are moving there, or you are just visiting, prepare to see some of the most remarkable sights you’ll ever have the opportunity of laying your eyes on. Anytime of the year is a good time to make your way up to Alaska. However, winter can be very dark and cold. Summer can be very crowded and expensive. Fall is quite nice, but you might miss some of the wildlife and you likely won’t get to see much of the more winter-prone sights such as glaciers. 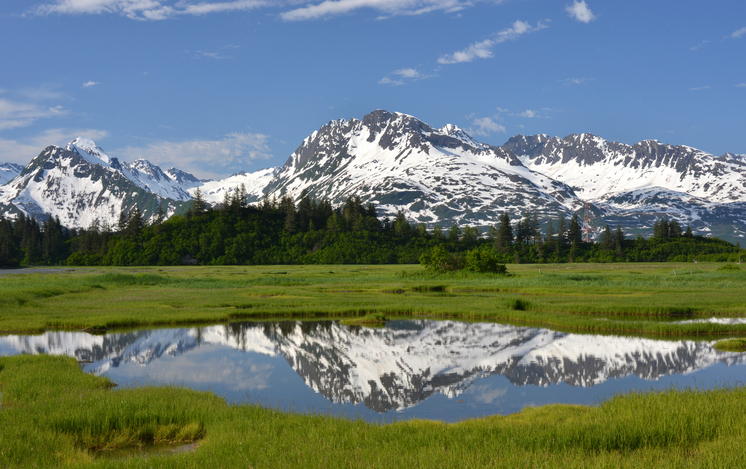 For these reasons, we recommend that you travel up to Alaska in the spring. During the spring, Alaska is in transition. It’s quite a sight to see. This is when nature here transforms from a snowy white wonder to the lush green wilderness that so many people who have been to Alaska talk about. The wildlife really starts to make more frequent appearances as a result of this too. This can include black bears bears, caribou, sheep, goats, multiple types of rarer birds, walrus and more. In fact, because the weather is getting better and the snow is starting to dissipate, but the vegetation and forest hasn’t fully grown back, it’s a peak opportunity to see the wildlife and snap a few photos. However, you’ll still be able to see things like glaciers in their full form. When you visit during the summer, you can still see them, but they will more than likely have grown smaller and less impressive than they are at their peak which is during the winter and spring. During the spring, you’ll also encounter less people in Alaska. It’s not the absolute peak time of the year to visit, which is from June to August. This will help you with things like travel time, rental availability, and sightseeing. Less people means quicker trips and greater opportunity to see even more of Alaska’s incredible wonders. You will end up primarily dealing with those who live in Alaska year-round as well. This makes for a better experience because you can learn so much about a place from the people who live there and know the lay of the land better than anyone else. Just from a simple supply and demand perspective it will be considerably cheaper to come in the spring instead of the summer. Yes, it will be a little cooler but bring a coat and enjoy all the money you saved. In the spring, you’ll save on flights, tours, hotels and pretty much whatever else you can possibly think of. If you are coming for an extended stay and shipping your car, you’ll save on gasoline too. With the money that you save, you could even end up affording to extend your stay for a few days. When you consider everything, Spring really is the best time to come to Alaska, whether you are just visiting or moving here. You’ll get the full benefit of being here as well as seeing all the incredible scenery and wildlife while saving money. If you want to skip the rental process and don’t feel like driving all the way through Canada and likely through a large portion of the continental US, we recommend that you ship your car to Alaska. If you’re interested, get a free quote today!